Look up in the clouds, you can see the very top at 20,322 feet, North America”s tallest. Not visible very often. 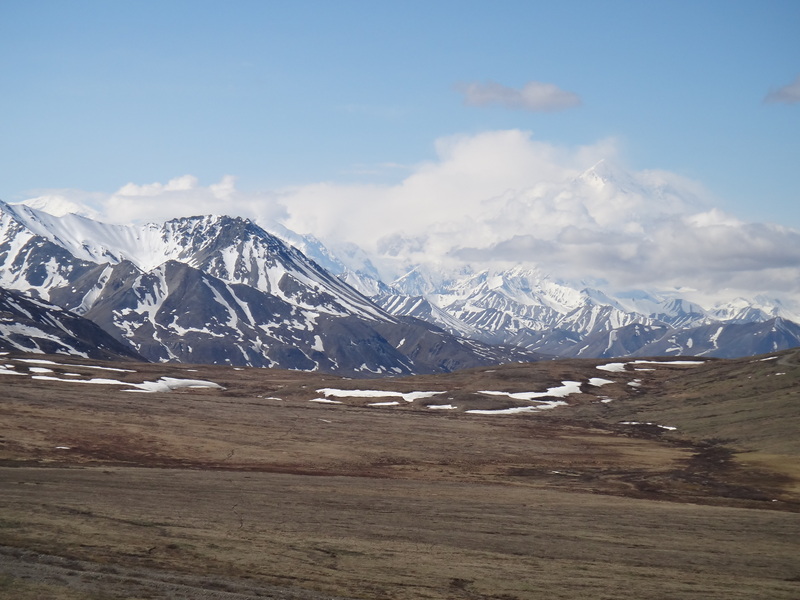 There are over 6 million acres in Denali Park. In 1976, this park was designated as an international biosphere reserve.